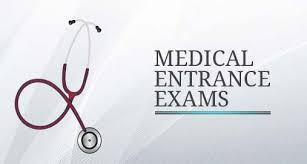 DNB CET 2016 stands for Diplomate National Board Centralized Entrance Test; it is a medical entrance test for admission in PG Courses of all NBE affiliated college. DNB CET is conducted twice in a year, all those applicant who wants PG admission in specialty courses can apply for it. DNB CET is a “Multiple Choice Exam” for 200 marks; it will be conducted online. Applicants are given choice for choosing their center and slot for appearing exam. Examination is conducted in January and July but a student can apply only once in examination, no second chance. It is PG-Level exam conducted at “All India Level” by NBE, New Delhi. Applicant already perceiving DNB CET is ineligible. Note: Applicant found to be ineligible at any point of DNB-CET will not be allowed to appear for DNB CET 2016. DNB CET 2016 is conducted twice and here application is stated for January Exam. All those applicants who have read eligibility criteria and are eligible should follow the structure as given below. Application will start for October 2015. At the very first you are suppose to pay fees and note the fees voucher no. Finally you will get an application ready you are supposed to save it for future reference. Note: Applicant has choice for center of examination and timing. Once you have applied no changes are entertained. DNB CET 2016 is “Computer-Based-Examination” conducted twice but an applicant can appear only once in a year. Examination is for 300 multiple choice questions where students are suppose to attain all the questions. Exam is conducted in 2 different sessions one in morning and other in after noon, student have choice either he can attend morning or afternoon (as filled in application form). No Negative Marking for DNB CET 2016.